Two weeks ago, the World Green Building Council (WGBC) launched a ground-breaking project with the goal of ensuring that all buildings are “net zero” by 2050. Specifically, the project targets all new buildings and major renovations to be net zero starting in 2030, meaning no buildings should be built below net zero standards. Under the project, WGBC will mobilize Green Building Councils in different countries to formulate plans and launch national net zero certification programs in partnership with US-based non-profit Architecture 2030 to train some 75,000 professionals worldwide by 2030 and 300,000 by 2050. This global project further supports the accelerating trend toward net zero that was highlighted by The Delphi Group in our 2016 study for the Canada Green Building Council (CaGBC). Research for that study flagged how the Canadian market can anticipate greater opportunities for investing in net zero design and technology as international, federal, and provincial policies and programs increasingly embrace the movement to low-carbon buildings as part of their overarching climate change strategies. At the moment, the Canadian Federal government is actively working on a new climate change policy framework, coming out of the Vancouver Declaration that was signed in March 2016 by the Prime Minister and Canada’s First Ministers. Several provinces and municipalities in Canada are also moving quickly to address greenhouse gas emissions in their jurisdictions. The City of Vancouver, for example, has already mandated that all new buildings in that city must be carbon neutral in operations by 2020. Net zero implies no energy is drawn from the electricity grid or from pipelines (natural gas), and no greenhouse gas (GHG) emissions are released from the building. In designing to reduce energy usage and GHG emissions, buildings are dramatically changing in shape and form, under-pinned by a greater focus on passive design features and building envelopes or exteriors. According to the US Department of Energy, a Zero Energy Ready Home, or “net zero” building, is a high performance building that has reached peak energy efficiency, allowing a renewable energy system to offset all or most of its annual energy consumption. Some might ask: Is policy moving too far in front of the market? Is industry actually able to deliver “net zero” building projects without adding exorbitant costs to an already hyper-inflated real estate market? Research continues to push the leading edge of net zero and drive down costs. As one example, the Smart Net Zero Energy Buildings Strategic Network, headquartered in Concordia’s Faculty of Engineering and Computer Science, is a national research initiative funded by the Natural Sciences and Engineering Research Council of Canada (NSERC). The Network received $5 million in federal funding in 2011 over five years in order to establish research initiatives that will increase the use of net-zero energy buildings while developing the most effective methods for achieving zero average annual energy consumption at both the building and neighborhood levels. A number of provinces—including British Columbia, Alberta, Saskatchewan, and Ontario—have been leading the net zero energy push in Canada. Builders including Landmark Homes, Avalon, and Minto Group have been at the forefront of this movement. The Canadian Home Builders’ Association’s Net Zero Energy Housing Council is also a vocal advocate for net zero construction and is gaining support from industry leaders. In Canada, building design and construction best practices are approaching the point where achieving net zero energy and carbon for new homes is technically viable, although the upfront cost premium for the required features and technologies remain the greatest barrier to widespread market adoption. Delphi’s research for the CaGBC study found that the added cost for building an average single-family home to a net zero standard is in the range of $40,000-$50,000. With a look to the future, in many parts of the world, electricity supplied by renewable energy technology is rapidly reaching price parity with conventional sources. Decreasing costs and improvements in the performance of solar photovoltaics (PV) technology over the last several years have taken net zero that much closer to reality. The evolving intersection between solar PV, plug-in electric vehicles, and home energy storage (such as Tesla’s Powerall battery system) is also an exciting space to watch as consumers increasingly seek energy self-reliance and more sustainable, affordable options along the pathway to net zero. 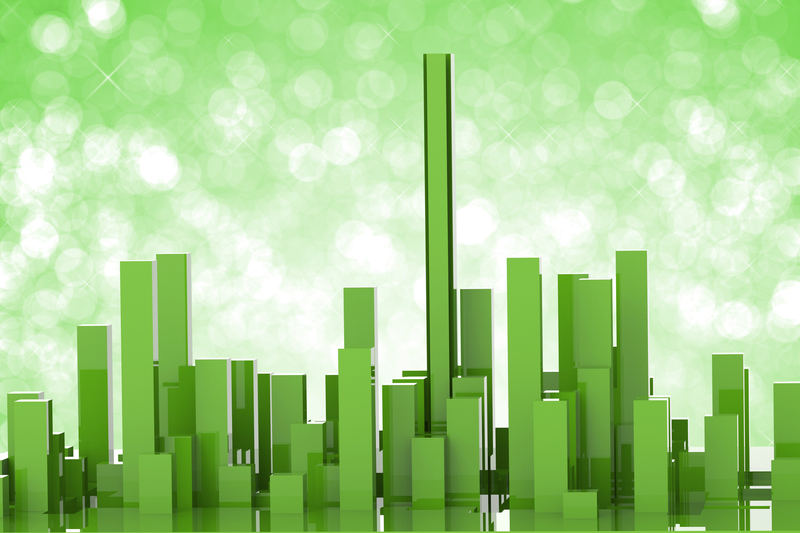 The private sector—including commercial building owners / operators, institutional investors, and large corporations—are also beginning to embrace the shift to low carbon buildings, further accelerating the market transition. As one example, the RE100 initiative is made up of some of the world’s largest and most influential companies who have committed to 100% renewable power for their operations. These companies include many household names such as IKEA, BMW, Coca Cola, Google, Starbucks, TD Bank, and Walmart. As a result of the trend toward urbanization, densification, better land-use, and a desire for more walkable, livable cities, a shift in design thinking from the individual building scale to more neighbourhood-focused design is underway, bringing the concept of net zero communities to the forefront. In reality, while many high-performance buildings exist in Canada and the technology to achieve net zero has been initiated, achieving this target on a broader scale is still a few years away. Ongoing efforts by groups including the CaGBC, the Pembina Institute, RDH, the Delphi Group, and others have focused on mapping out various pathways to net zero in Canada; however, collectively Canada could be doing more to accelerate its adoption. This could include incentivizing net zero construction to help lower the upfront cost for homeowners. We must also focus heavily on the existing building landscape to encourage deep energy retrofits, particularly for multi-unit residential buildings. With respect to innovation, Canada lags behind global leaders in terms of its investment in renewable energy technology research and development (R&D), as well as for supporting energy efficient building design and construction. Not only does Canada’s construction sector rank at the bottom of all industries in terms of investment in R&D, but when compared against international competitors, R&D investment in construction has been stagnant since 2001. There is also a need for training of the skilled labour workforce, particularly among SMEs who provide so much of the building construction and maintenance services on the residential side, as well as greater support from the trades in helping to bring down the lifecycle costs of high efficiency and near net zero building. Models such as integrated project delivery and greater collaboration across the value chain can help to lower costs and close the gap between technical capabilities and the adoption of technology. Policy must also support the shift to net zero and reforming standards and regulations in certain areas to support innovation will be important for encouraging market transformation. For example, the only way to effectively get to net zero energy at the present time is to integrate onsite renewables with high-performance building design. This, in turn, requires that utilities allow for this within their mandate and regulatory framework, which is not the case in some Canadian jurisdictions. Needless to say, we are living in an exciting time where a convergence of policy, technology, and consumer interests are aligning. It will be interesting to watch the roll out of policies and programs across Canada over the coming months vis-à-vis international commitments in this space and to see how we, as a nation, do our part to address the global climate change challenge and embrace the opportunities that come with the transition to a low-carbon built environment.